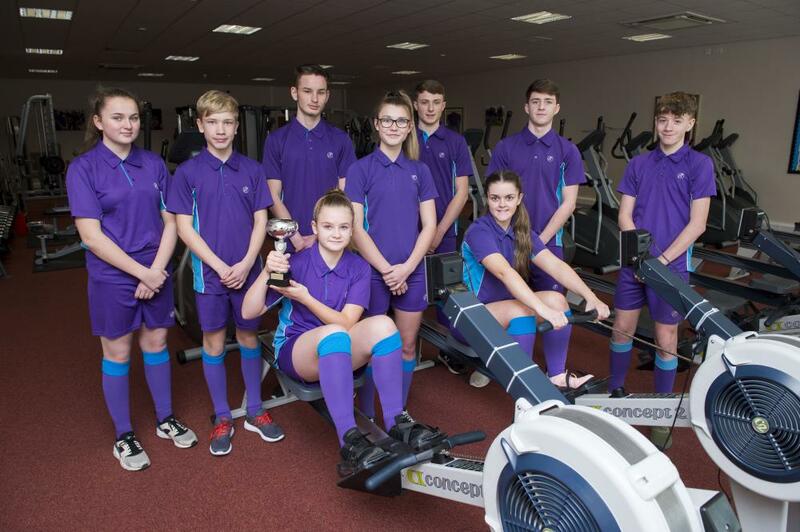 The Cleethorpes Academy Champion Indoor Rowers are: (Seated, l-r) Ava Bowles and Libby Capes. (Back, l-r) Elissa Randell, Samuel Rudd, Dovydas Bartusevicius, Bethany Wharton, Max Osgothorpe, Jack Holmes and Harvey Cribb. 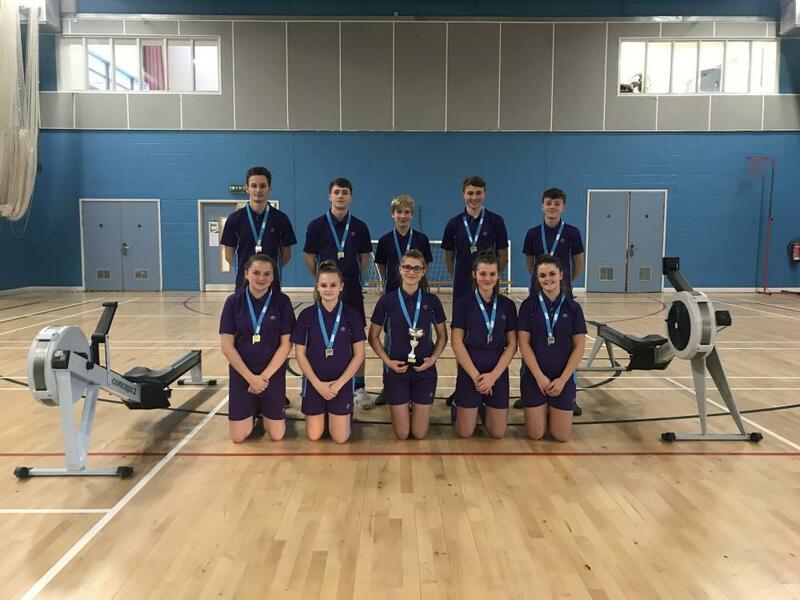 Cleethorpes Academy won the North East Lincolnshire School Sports Partnership's Indoor Rowing Competition by the biggest winning points margin in its history, according to organisers. The competition took place at Oasis Academy Wintringham and included teams from Tollbar, Somercotes, Wintringham, Humberston and Havelock Academies. This was the Cleethorpes team's first win in this competition and all students performed excellently. The students set a number of new records. These included: Taylor Gray – new Year 8 girls record: Elissa Randell – new Year 10 girls record and Bethany Wharton – new Year 11 girls records. Simon Blewitt, Curriculum Leader for P.E. at Cleethorpes Academy, said: "The organisers of the event confirmed that it was the biggest winning points margin in the event's history. I am so proud of all of the students who put in such a fantastic effort in this competition. They were a credit to the Academy." The Cleethorpes Academy students receive their medals and trophy at the competition. (Back row) Dovydas Bartusevicius, Jack Holmes, Samuel Rudd, Max Osgothorpe and Harvey Cribb. (Front row) Elissa Randell, Ava Bowles, Bethany Wharton, Taylor Gray and Libby Capes.